Not only do I appreciate the look and feel of organic shapes and natural materials in a nursery, I just love the symbolism of it as well. Vos Kho Baby totally gets the connection and we are sure you are going to love them too. Emerging Adelaide furniture designer, James Howe, fell in love with the industry four years ago when he was trying to fit out his new home with just the right look. In his quest to find the perfect pieces for his baby girl’s nursery, he started to get creative. Vos Kho Baby was the result and we are excited to share his debut range with you. The Vos Kho Rocker is as sturdy and safe as it is gorgeous. 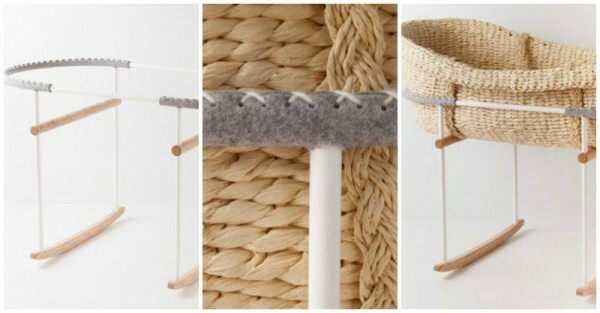 It has been designed to create a cosy, nest-like sleeping environment. The base is constructed from European ash timber and white, powder-coated steel with a feature of natural grey felt made from 100 per cent pure wool. The rocker is designed to fit the Nature Baby Moses Basket which is made from natural paper rope in a beautiful and pure organic form. The base and Moses basket combined measure 66cm in height, 44 cm in width and 92 cm in length. They come together as a package deal for $595. The Vos Kho Changer is a functional work of art. 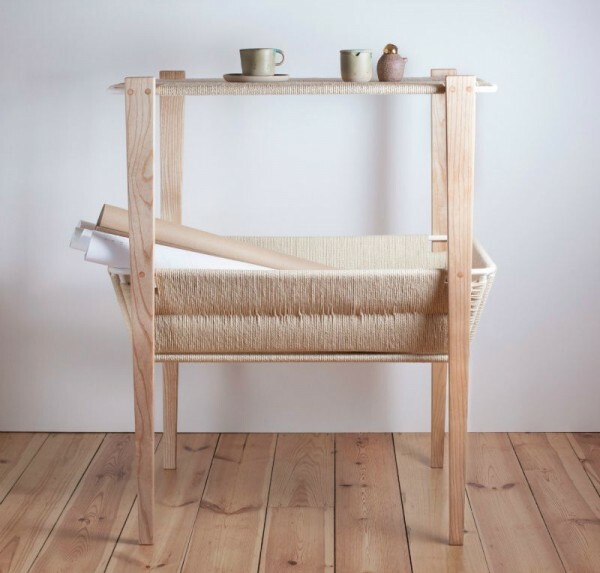 Handmade and painstakingly woven in Danish cord, this piece features a nappy change tray and a spacious basket beneath. In a design that has been influenced by both Scandinavian furniture and Aboriginal artefacts, it has been created with extraordinary attention to detail and recently won the New Talent section of the Etsy Design Awards. When baby outgrows it, use the Vos Kho Changer as a display table or storage unit instead. Priced at $2,250, this changer measures 98cm high; 41cm wide and 81cm long and will be a very special feature in a carefully curated room. Each of these pieces are made to order and only available within Australia through Etsy. If you are looking for nursery furniture that is unique, handcrafted and destined to stay in the family for generations to come then be sure to follow Vos Kho Baby on Etsy. 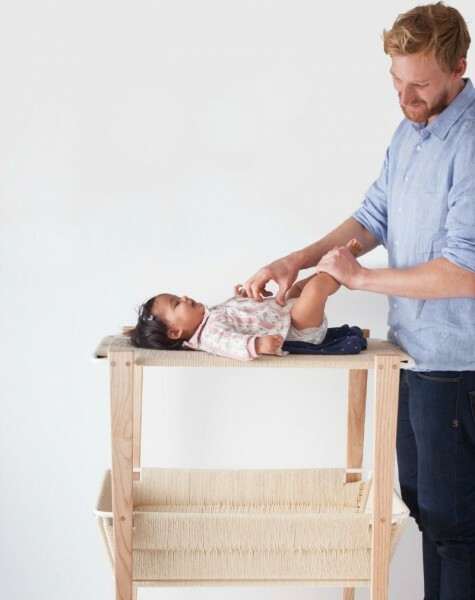 James has big plans for the future of his furniture and homewares brand with his next release a new change table that can be flat-packed for easier shipping and a much lower price tag.